The elder brother of Napoleon and deposed king of Naples & Spain lived here, 1815-1816. The house was built about 1813. 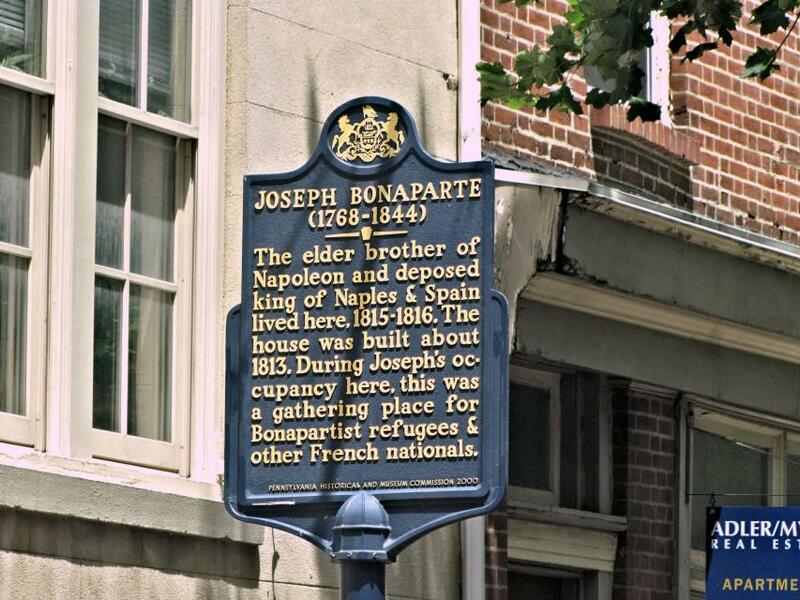 During Joseph's occupancy here, this was a gathering place for Bonapartist refugees & other French nationals. This marker can also be identified by its HM code. You can use the hashtag #HM1JSY in tweets, and any other place where you might refer to this marker, including when searching on this site.